Nothing like enjoying chocolates that are beautiful and calorie-free!! I loved creating each one in this heart-shaped box. 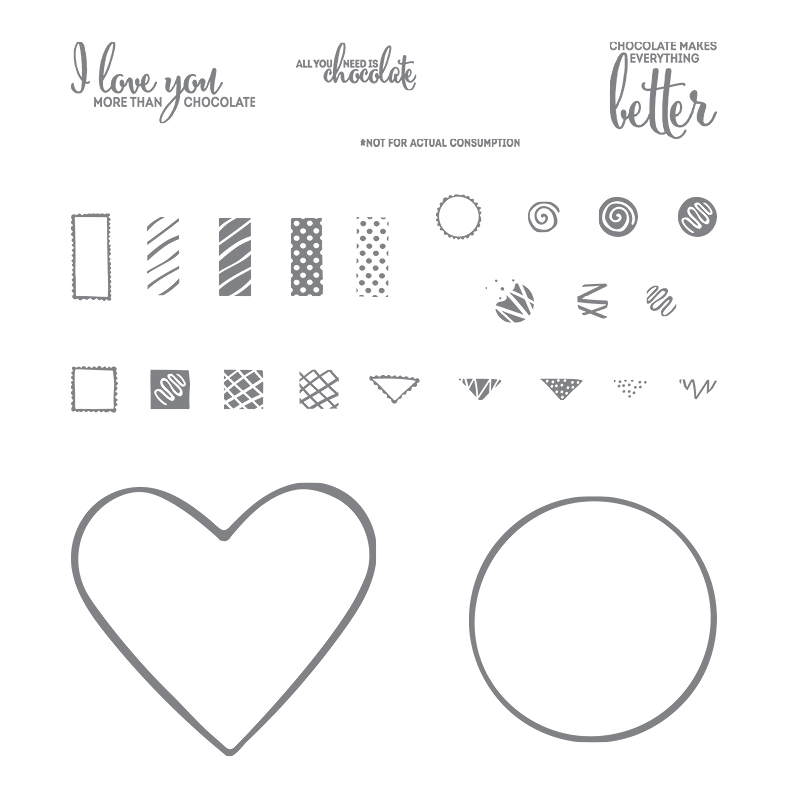 Cut it out perfectly with the Sweet and Sassy Framelits and you have a beautiful and sweet note card to send. Imagine that silky Real Red Stitched ribbon wrapped around the outside of the box! 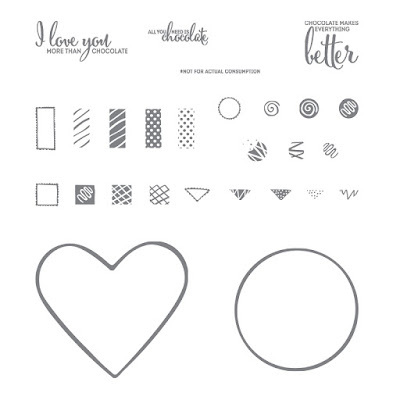 The price of this stamp set is less than a pricey box of chocolates, is guilt-free and can be used over and over to create sweet "treats" to send away to friends and loved ones in need of a lift or encouragement! 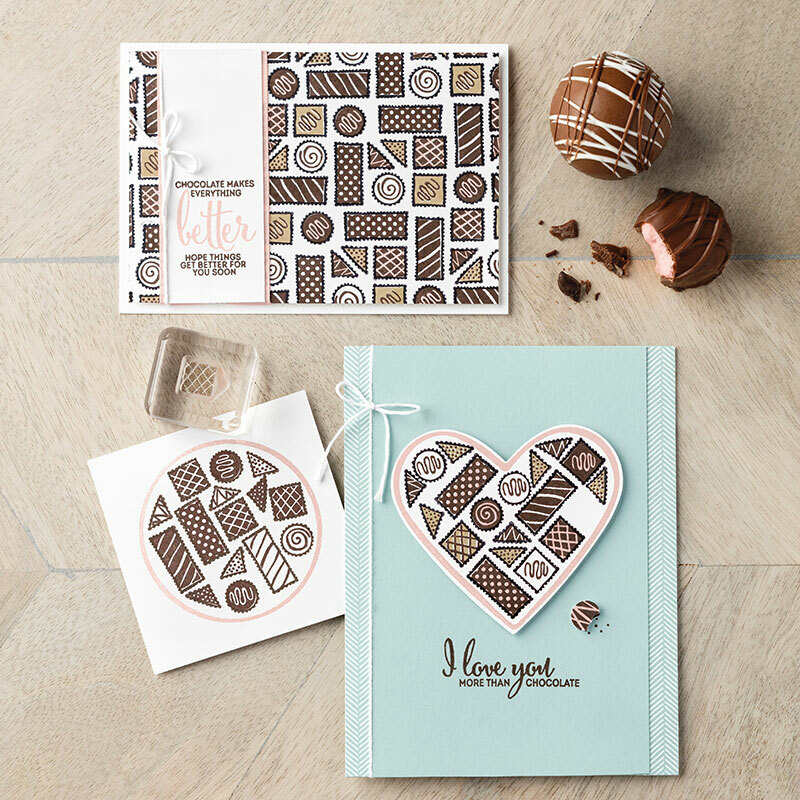 Let me know what you think of this "sweet" card by leaving a comment. I love to read them!! 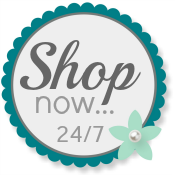 Please use my Online Store when ordering your Stampin' Up! products.